Don’t be a plagiarist, rewrite! “Bipartisan” is almost a dirty word now, with each side of the aisle pandering to its base. 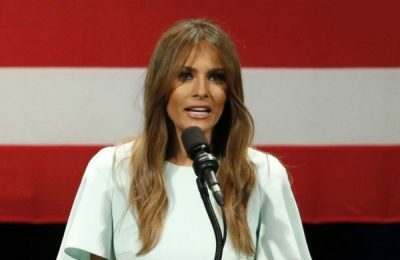 That’s why the plagiarism in Melania Trump’s Monday night speech at the Republican National Convention was so refreshing. With just a few well-chosen phrases, she showed she can be wonderfully bipartisan, stealing copy as well as such Democrats as Joe Biden and Al Franken. I’d list more names, but space is limited. As McIver tells it, when Mrs. Trump read her some passages from Mrs. Obama’s speech, she dutifully wrote them down, failed to check anything against the prior speech, then somehow included them. I wish my last loan officer had employed that approach. From a young age, my parents impressed on me the values that you work hard for what you want in life, that your word is your bond and you do what you say and keep your promise, that you treat people with respect. They taught and showed me values and morals in their daily lives. That is a lesson that I continue to pass along to our son. And we need to pass those lessons on to the many generations to follow. Because we want our children in this nation to know that the only limit to your achievements is the strength of your dreams and your willingness to work for them. There’s nothing more important than living according to right values. My parents taught me the Golden Rule — to treat others like you want to be treated. And you do it every day, as well as always keeping your word. You do it because you know that what goes around really does come around. And you do it for your children, because you want these values passed on to the next generation. And as you do that, dream big, set your goals high, and work hard towards them, you can still achieve anything you want to achieve, because this is America! Same ideas, all original, and more crowd rousing. I wish I had gotten that speechwriter’s pay for those 10 minutes; I’d be sitting pretty good. 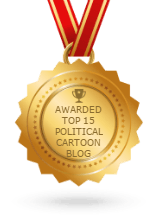 In the end, Trumpland sure suffered a needless unforced error, but then, what else is new? I’m sure they’re looking on the bright side: If he gets elected, a lot more people will be paying attention to his inaugural speech. Of course, if it starts out, “Fourscore and seven years ago,” we’ll be back to Square 1. Meanwhile, it’s too bad he won’t have time to build a wall around Ms. McIver.